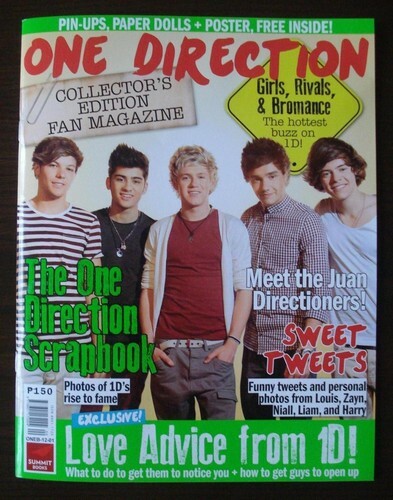 One Direction Magazine (Philippines). I just bought this yesterday, this is a magazine of One Direction which was published in my Country (Philippines), and is available nationwide. They are very được ưa chuộng here in the Philippines! I'm lucky to have a copy of this mag!. Wallpaper and background images in the One Direction club. I just bought this yesterday, this is a magazine of One Direction which was published in my Country (Philippines), and is available nationwide. They are very được ưa chuộng here in the Philippines! I'm lucky to have a copy of this mag! This One Direction photo contains anime, truyện tranh, phim hoạt hình, manga, dấu hiệu, poster, văn bản, bảng đen, and ký hiệu. There might also be báo giấy, tạp chí, tờ báo lá cải, rag, tờ báo, giấy, báo lá cải, giẻ rách, and tờ báo giấy. Are you from the Philippines? If you live in the Philippines, these are available in all National Bookstore and Booksale Branches nationwide.